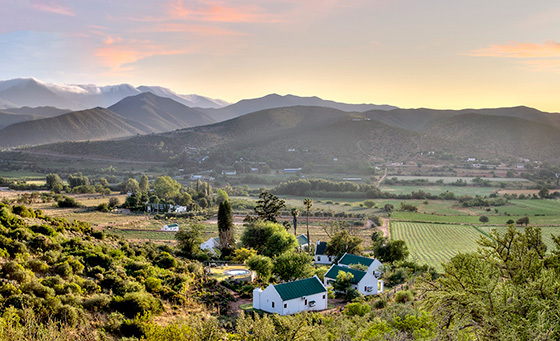 Set en route to the world famous Cango Caves, Berluda Farmhouse and Cottages offers an intimate guesthouse and self-catering family experience. If you are looking for peace and quiet in a beautiful country setting, with fine touches in hospitality, you need to look no further! 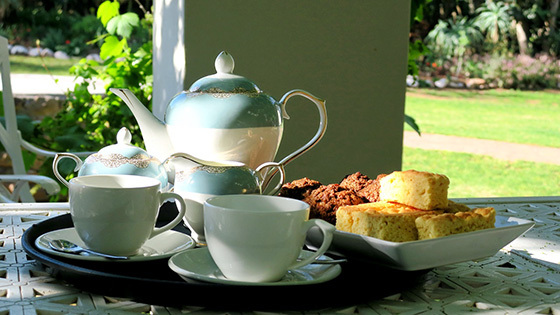 We will do our utmost to ensure the best possible experience in personal service and sincere South African farm hospitality. 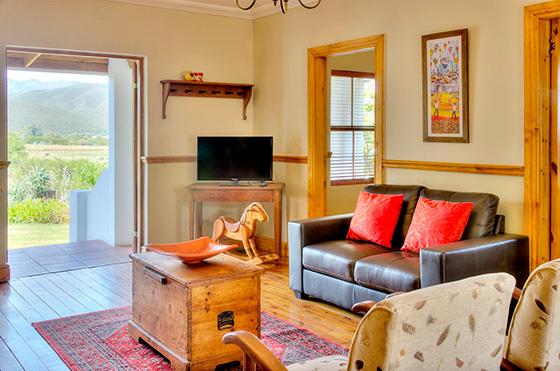 Recently upgraded, the farmhouse with its 7 en-suite bedrooms, provides home-from-home comforts, amidst luxurious interior and beautiful décor. All rooms offer air-conditioning and free Wi-Fi. Rooms open onto a private patio overlooking the gardens. Bathrooms are equipped with spa bath and shower, as well as separate toilet and double basin. Bedrooms offer a tea/coffee and sherry tray, and king or twin beds. The restaurant offers breakfast daily. 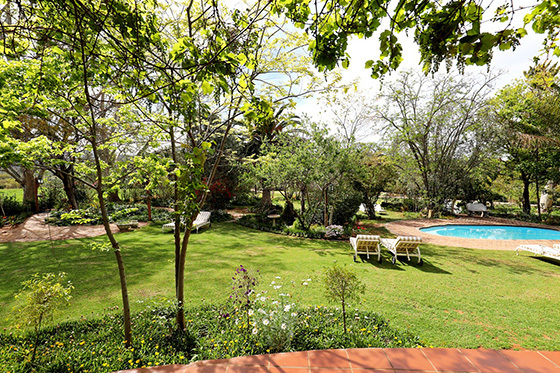 The beautiful lush gardens have 2 swimming pools and Berluda is furthermore a paradise for bird-watchers. 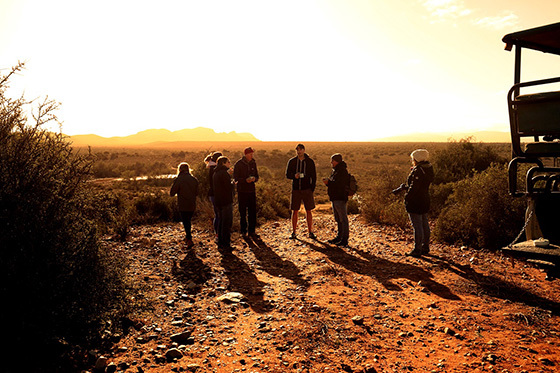 Surrounded by apricot orchards (the origin of the name "Berluda"), as well as our famous Karoo veld, where long hikes can be undertaken to enjoy the special indigenous vegetation, Berluda is the place for families with children of all ages. 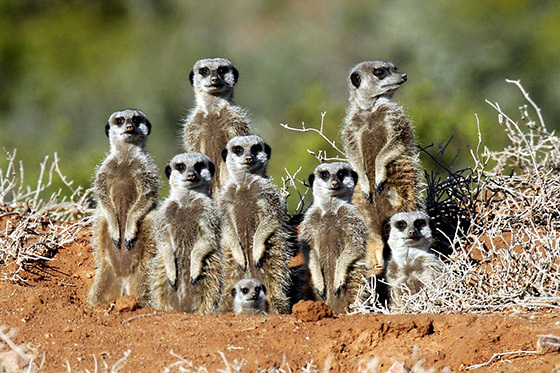 Owner, Piet Schoeman, runs one of the largest working ostrich farms in the area, and was elected the Western Cape’s “Young Farmer of the Year”, some years ago. 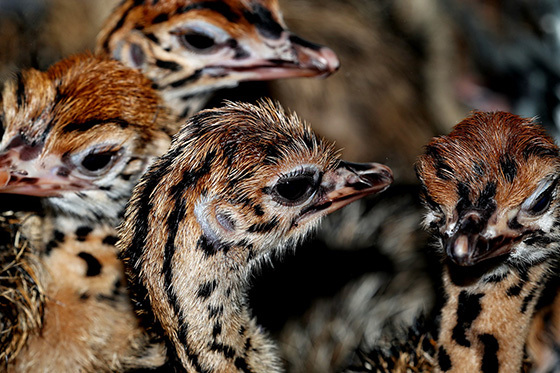 Come and experience a real working ostrich farm in all its diversity - from the breeding process, the incubation of the eggs and the feeding and plucking of ostriches. Just up the road from the main farmhouse, these 8 beautifully renovated cottages cater for guests looking for some peace and privacy. Enjoy the walking trails in the hills behind the cottages and some of the most beautiful views in the valley. 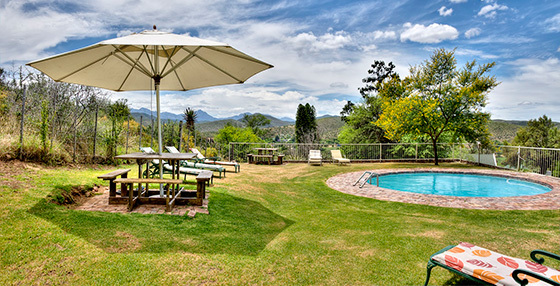 Luxury honeymoon cottage recently added to Berluda Farmhouse. 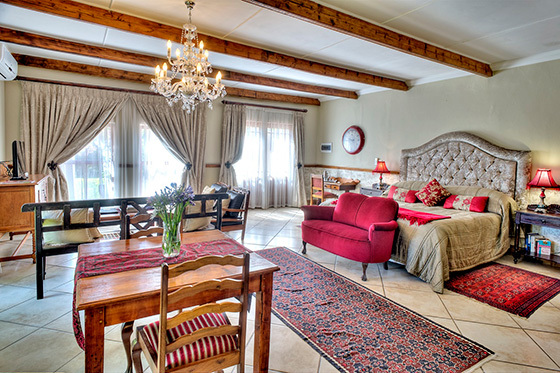 Spacious, luxury garden cottage with king size bed, antique interior, fireplace, and DSTV (hotel package). Exclusive ostrich leather upholstered furniture. Separate shower and spa bath. Fully equipped kitchen for the self-catering option. Air-conditioning. Overlooking lush gardens and mountain. Perfectly private for honeymooners!